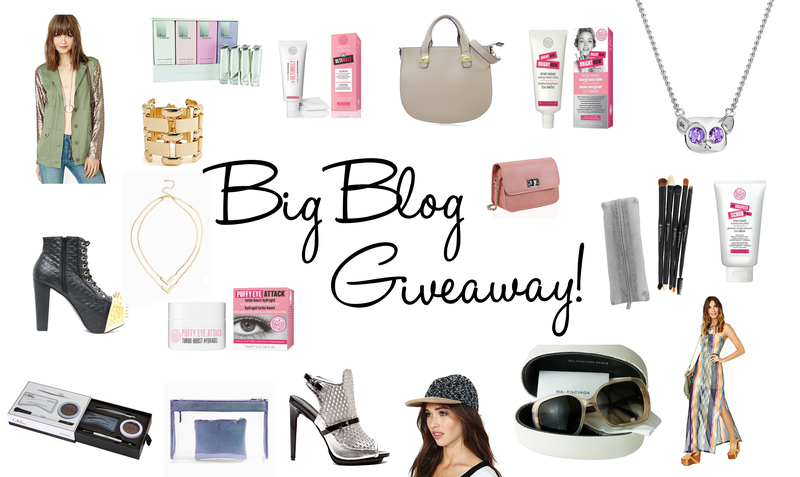 Try not to have a heart attack, but one lucky reader will win EVERYTHING in the image above!!! Here’s a little run down of the goods!! Everything above has been provided by the amazing companies involved except the Nasty Gal bits which are provided by me – hence the specific sizes of these items. Don’t worry if certain ones won’t fit you, there are so many prizes you can always give some to a friend! The Loris necklace is my latest object of lust! Congratulations and happy one year anniversary to your blog. I think this has to be one of the most amazing giveaways that I’ve seen! I have ony just discovered your blog but it is fast becoming a favourite. Best wishes and thank you for the astonishing giveaway I just entered. Hi! I found out about your fab blog & this wonderful giveaway on Coleus Chimes blog. Such amazing prizes, thank you for the chance. Congratulations for completely a year and thank you for such an awesome Giveaway! Hi There, I’m relatively new to your blog, but am really enjoying it! Can’t believe that it’s only a year old tho! It looks so established!! Congrats!! Keep blogging! Joined 🙂 hope to win! thank you for the chance :0 more power to you!